Preheat the oven to 350’. Grease a casserole dish with nonstick spray. 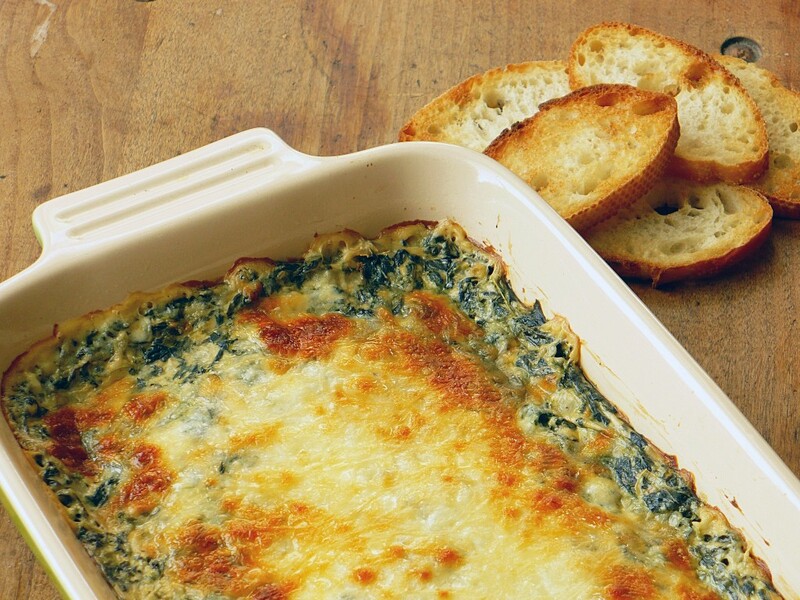 Heat the spinach in a microwave oven on high for 5 minutes and squeeze dry. Drain the artichoke hearts and coarsely chop in a food processor. Combine all the ingredients except the jack cheese in a large bowl, Stir well. Scrape into the prepared casserole dish and top with jack cheese.